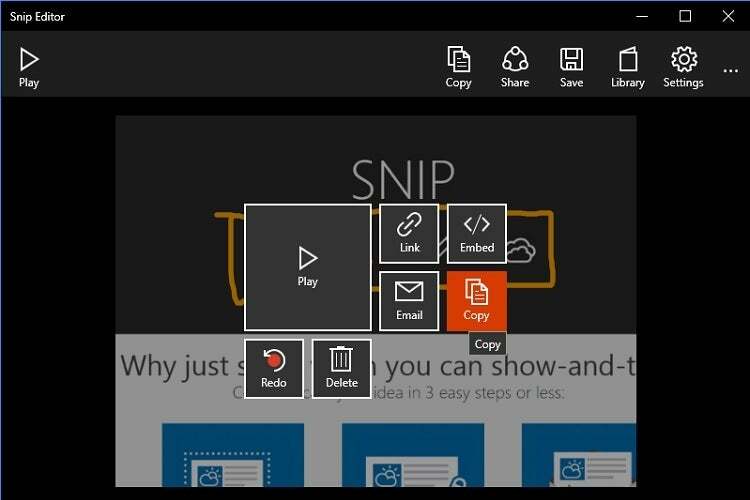 If taking screenshots is part of your job, Microsoft is aiming to make it easier with a new tool called Snip. 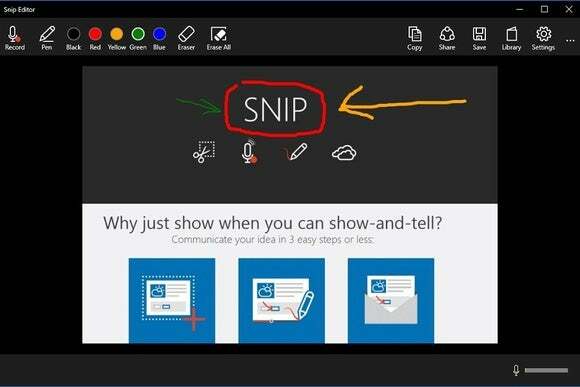 Available as a free beta, Snip lets you cut out a portion of the screen, annotate it with a drawing tool or voice notes, and then save or share the results. It’s unclear if Microsoft is planning to charge for the app, which was first spotted by The Verge. Microsoft is considering the Snap to be part of Office Mix, which before now has served as a set of additional tools for PowerPoint. This suggests that Mix could expand into a suite of utilities for Windows and Office users. Why this matters: While Snip is hardly the only screen capture tool for Windows, its simplicity (and the fact that it’s free) makes it worth considering. If you don’t need the more extensive options of tools like Greenshot and PicPick, Snip could be a more efficient option. After installing Snap, a small drop-down menu docks to top of the screen. From here, you can take a screenshot, snap a photo from your computer’s camera, create a blank whiteboard, or open previous Snaps. The screenshot tool is pretty basic. It shows the pixel dimensions of the image you’re highlighting, along with a magnified view of the cursor area. But once you’ve made a selection, there’s no way to crop or modify it without starting over. After grabbing a screenshot, Snap jumps into editing mode. Again, the options for image editing are limited, with only four opaque marker sizes in five colors, along with an eraser. There’s no shortcut for undo or redo, but using the eraser removes entire brushstrokes at a time. You also can’t resize or crop the image from this menu. Images can be saved in JPG, PNG, GIF, and BMP, and you can also copy the edited image back to the clipboard. Snip’s recording tool lets you play back voice notes in real time and share the video file on the web. Snap’s voice annotations are a bit more impressive. Once you click record, you’re still free to draw while speaking, and anyone who plays back the file will see the annotations appear in real time. You can either generate a shareable link to this file, or save it as an MP4 video. Given that it’s just a beta, there’s plenty of potential for Microsoft to expand the program. For now, it’s a simple way to manage screenshots that goes beyond your keyboard’s basic PrtScn button.